These days, texting is one of the most common forms of long-distance communication around the world. However, traditional phone plans that include testing and phone calls can be quite expensive, which is why a number of apps dedicated to texting and making calls via Wi-Fi have emerged. In the sea of apps, TextNow stands out in terms of quality and efficiency, making for an excellent choice if you need unlimited texts and calls. As mentioned, TextNow is an app which serves as a great alternative to standard phone plans for those who like sending texts but have a problem with limits provided by these plans. It is quick and easy to use and works great with Wi-Fi. And, if you do not have connectivity to Wi-Fi, you can purchase the service’s premium package which will give you unlimited texts and calls as well. This package is called TextNow Wireless, and it claims to be the world’s first all-IP cloud-based mobile service. It is a great solution for long trips and similar occasions when Wi-Fi might not be close at hand, and you wish to hear from your family, friends, and loved ones. However, there is a problem with TextNow, which lies in the fact that it is only accessible in Canada and the US. Obviously, this is a big issue for people around the world who might want to enjoy it. A similar problem can be experienced even within these two countries, if you are bound to a place with internet restrictions and filters, such as work, school, or university. This is an issue that will likely prevent you from using many other apps, or accessing various websites and services on the internet. Luckily, there is a solution to the issue, one that will allow you to unblock TextNow from anywhere, and it comes in the form of a VPN. What is a VPN and how can it help? VPNs (Virtual Private Networks) are online services which can provide you with an application that can protect your online traffic, as well as your online identity. They are privacy tools used by those who have need of them, which, unfortunately, includes more and more people as years go by. VPNs can protect a wide variety of your devices, and many of them have dedicated applications for systems like Windows, Mac, iOS, Android, as well as for devices such as Smart TVs, routers, and more. Of course, in order to unblock TextNow from anywhere, you will need a VPN that covers smartphones. Once you start using it, VPN can protect your online traffic by creating a secure tunnel around it, and forcing your traffic to flow through this tunnel. Further, it will also encrypt it, thus preventing anyone from seeing what you did online, even if they do manage to obtain your data somehow. This is a great way to protect yourself online in case your country’s laws are strict about what you can and can’t access. Protection like this can even hide your actions from your own ISP (Internet Service Provider). Finally, the third large feature that all VPN services share is a network of servers, which can be quite massive, depending on the service. Server network is also the most important thing for those who wish to unblock TextNow from anywhere, as it allows them to hide your real IP address, and replace it with a different one, which is owned by the server. Now, since servers are located in different countries, their IPs are local to those countries. That means that connecting to a server in the US will allow you to get an IP address native to the US. In other words, all online services will start seeing and treating you as a US citizen, even if you are connected from a country in Europe, Asia, or elsewhere. This is the most important part, as it will allow you to gain access to TextNow, even if you live in a foreign country. Of course, that means that you will only be able to use the service while the VPN is active, but it is a small price to pay to get access to such a great app. The only thing that remains is for you to choose the right service. Not all of them are the same, and there are many additional features that a VPN can offer. Some services have some of these features, while the less-quality ones have none of them. However, most services feature a certain number of them, and the more they have — the better. This is why we would recommend using TorGuard, which is one of the best VPNs that you will ever find. Why should you use TorGuard? TorGuard is a VPN service that checks out in all areas required to unblock TextNow from anywhere. It uses multiple security protocols which can protect your traffic, as well as 256-bit AES encryption, which is the strongest one on the market. With the combination of the two — no one will ever be able to tell what you’ve been doing online. Further, TorGuard is known for its speeds, which are unlimited, just like the bandwidth, whereas some other services might post certain limits. TorGuard also keeps no logs, meaning that not even the service will track your online actions. This also prevents it from selling your data for profit or giving it to the authorities, even if they request it via the court order. But, the best thing about TorGuard is its vast server network which spreads through 50 countries and offers over 3,000 servers, with many more IP addresses. You can even use it on five different devices by purchasing a single package, which is very affordable and will cost you only $9.99 if you take the basic, monthly plan. With TorGuard, you will easily be able to unblock TextNow from anywhere in the world by simply connecting to a server located in the US or Canada. And, if you ever run into some issues, you can contact its customer support, which will help you for free at any time of day or night. 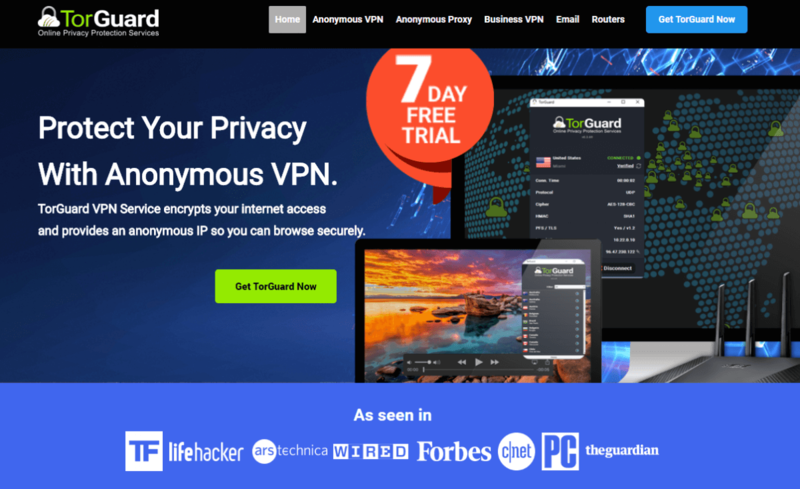 Finally, TorGuard will also provide you with a 7-day free trial, after which you can either pay for a full plan or abandon the service with no strings attached. Using texting apps is a new modern trend, simply because they are so convenient, and usually completely free. You will no longer have to watch out for phone plans and limits and pay a high price for contacting friends and family in a different country. Instead, you can quickly and easily communicate with people around the world through one simple app. However, the problem lies in the fact that TextNow is only available in the US and Canada, which is why you need a VPN to unlock it. Thanks to its numerous features, TorGuard is the perfect service for doing so. It is cheap, easy to use, and it will provide you with the top quality service at any time of day and night. Further, it will allow you to reach total online privacy and anonymity while hiding your online actions from any prying eyes that might be tracking you. It is a great deal, and it is certainly necessary in this age of hackers and government surveillance, so do not miss the opportunity to protect yourself.